The game is a great way for the older generation to continue to enjoy sport, stay active and keep fit. As you get older the opportunity to participate in team sports lessens – ironically at the age when you most need to keep active. Simply playing 1 hour a week for 3 months enables players to cover 30 miles and burn 4,200 calories. 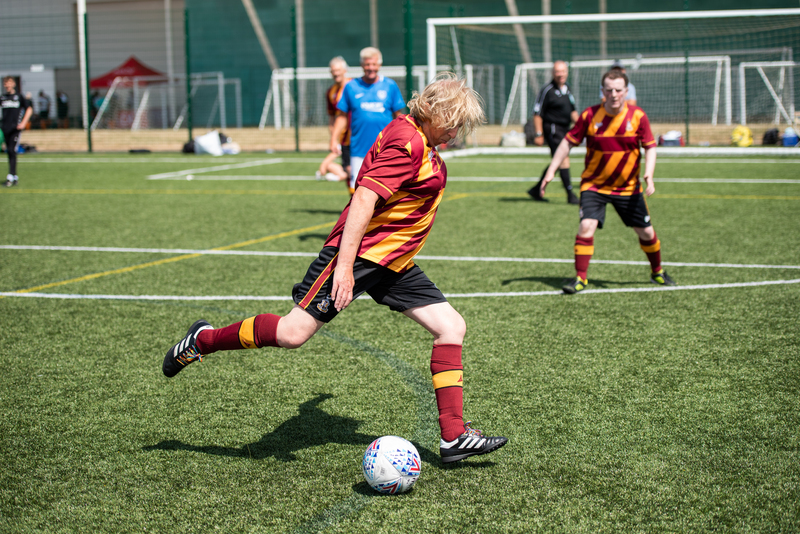 Rochdale player Steve Colesby, aged 71 said: “It is difficult, in a few words, to describe how much life has improved for me and many of my friends due to walking football with Rochdale AFC Community Sports Trust. Grimsby Town team captain, Peter Cribbs, commented: “For our generation to get to play at St George’s Park is amazing. “We have one participant who lost his wife and went into a very deep depression, doing nothing but looking at pictures of her. “We persuaded him to come and join the group and he has now got a new lease of life thanks to walking football. 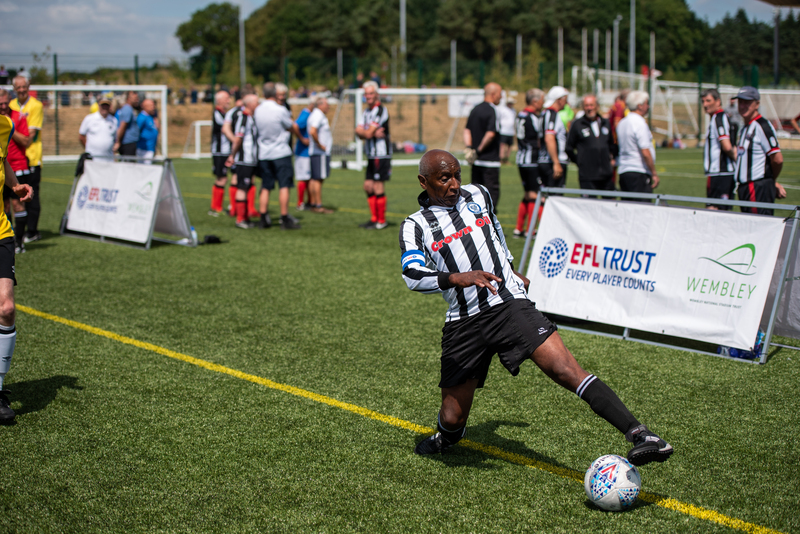 The EFL Trust runs the Walking Football Cup every year around May and June. EFL Clubs through their community trust each hold a local competition. The winners then represent their club and play in their official colours at a regional level. The top two in each region then qualify for the finals which was this year played at Aston Villa’s training ground. Mike Evans, EFL Trust Director of Operations, said: “The social and health benefits that walking football has for participants are massive; 82% of participants believe that their health has improved by playing walking football. To find out more about Walking Football near you please email info@efltrust.com letting us know where you are based and your nearest EFL Club.